Excellent snow quality and perfectly groomed pistes | Relatively uncrowded slopes and fantastic tree skiing | Superior customer service and full range of accommodations. Book by August 31st, 2018 and receive the biggest discounts on ski holiday packages to the USA & Canada. Twenty-six destinations across North America are available on the Ikon Pass and the Ikon Base Pass. Discover the resorts of Revelstoke, Kicking Horse, Fernie & Red Mountain in Canada’s BC region. Book by NOV 15 and receive 20% OFF! Colorado Ski Safari – Experience two of the premier ski resorts in North America! 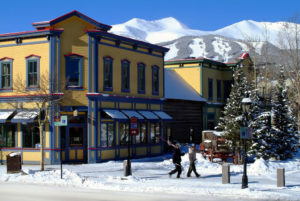 Vail and Aspen, 7 nights, Apr 2-9th, 2019, from $1949 per person.